You might pick up this out of print book at a thrift store for about thirty five cents and wonder later if it is the best purchase you’ve ever made. This is one book you read annually and still don’t get bored. 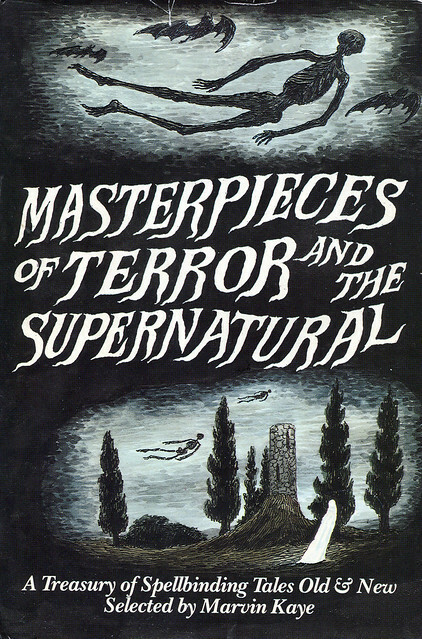 Edited by Marvin Kaye, “Masterpieces of Terror and the Supernatural” is a compilation of forty six short stories, one novella, and six poems. The editor has covered over two hundred years of horror literature. A good thing about this anthology is that you get to read non-English writers as well since Kaye has included authors from countries like Russia, Germany, and France. Don’t expect gory stuff since Kaye has an inclination for subtle horror. But he presents you some outstanding spooky works. Sadly, you’ll need to work hard to lay your hands on this rare gem. Try out Amazon and ebay.